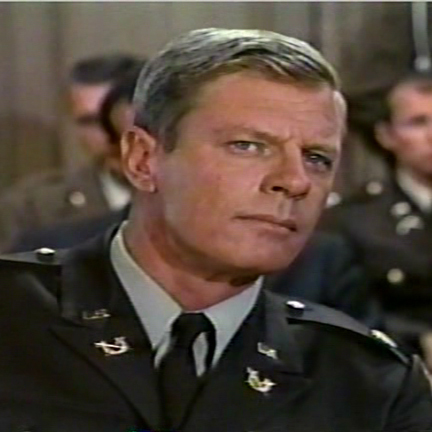 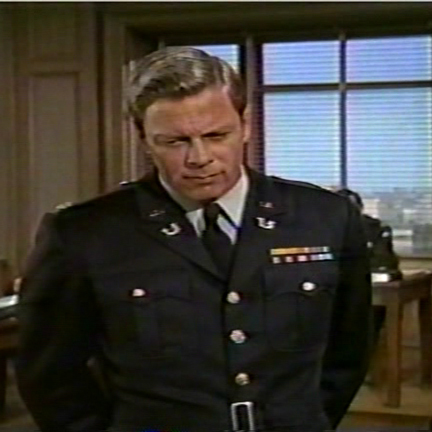 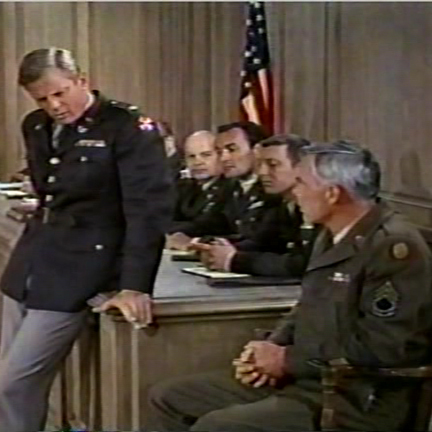 This Class A military jacket was worn by the character “Sergeant Ryker” portrayed by Peter Graves in “Sergeant Ryker” (Universal 1968). 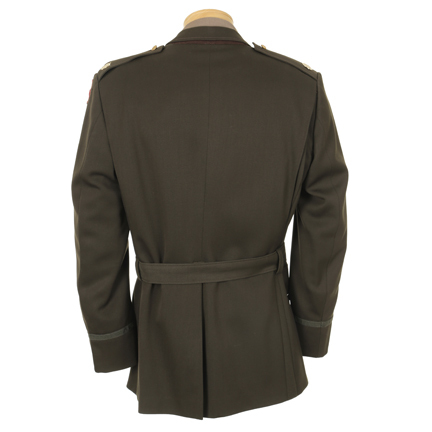 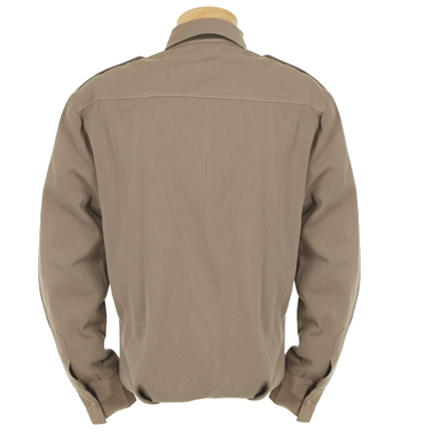 The custom made brown WWII military jacket has slight peaked lapel , two flap breast pockets, two lower flap pouch pockets, brown trim on cuffs, self belt, and gold eagle buttons. 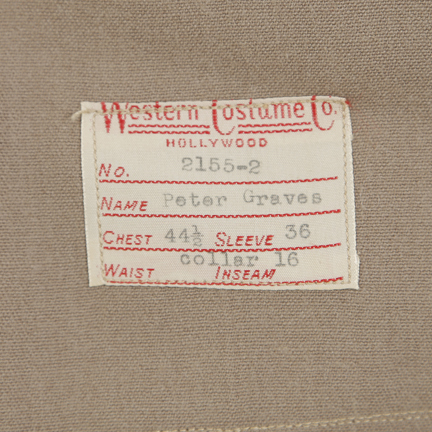 Internal Western Costume Company label with “2129-1, Peter Graves, chest 44 ½, sleeve 18 ½” typed. 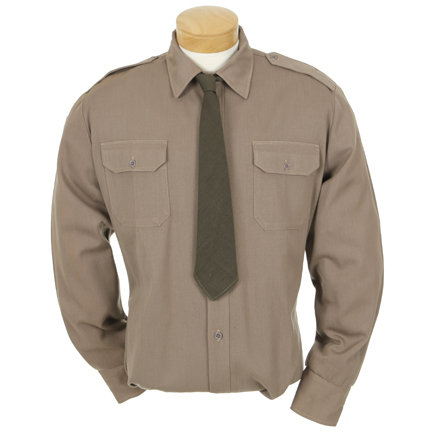 Khaki WWII military shirt with two flap patch pockets and epaulets. 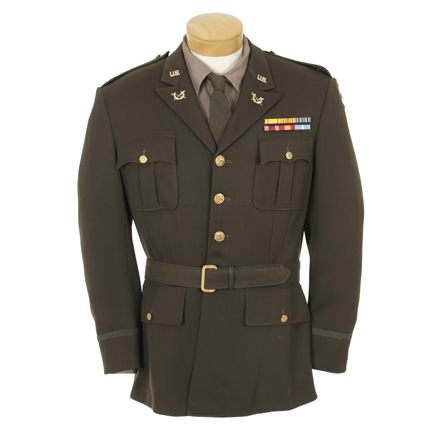 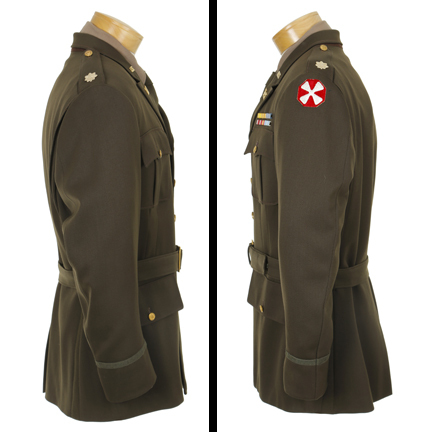 Khaki WWII military shirt with two breast flap patch pockets and epaulets. 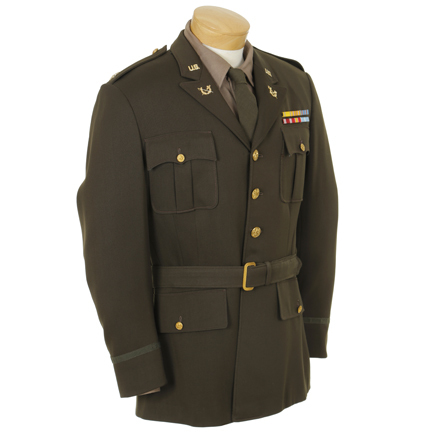 Internal Western Costume Company label with “2155-2, Peter Graves, chest 44 ½, sleeve 36, collar 16” typed. 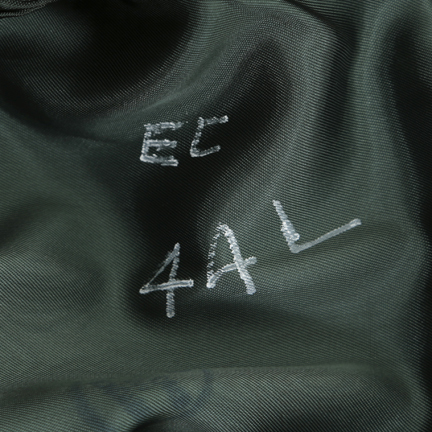 Worn in several scenes including the final court case at the end of the film. 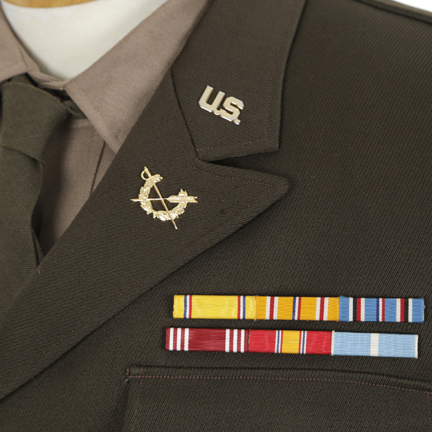 Insignia added for display purposes only and not included.